John (@SQLDiplomat) is the Product Manager at SentryOne, looking after SQL Sentry and the core monitoring suite. John is also a Microsoft Data Platform MVP, with over a decade of experience with SQL Server and the Microsoft Data Platform. 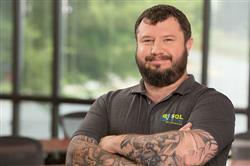 Having worked with SQL Server for the last decade, John has gained a level of experience as a DBA, Developer, and former Microsoft Premier Field Engineer. Gaining a broad understanding of how you can use, and misuse, SQL Server.